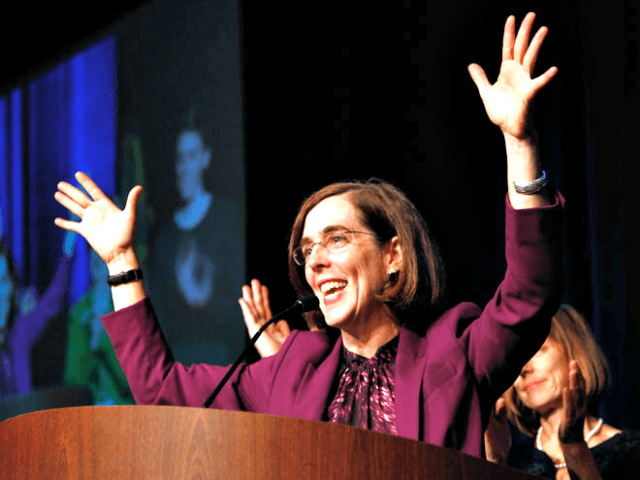 Facing a barrage of criticism from business, and labor skepticism over threats of higher unemployment, Oregon Governor Kate Brown is scaling back her $15.52 minimum wage proposal. Brown has been trying to be the most “Left Coast” governor by pushing a minimum wage that would surpass that of California’s Jerry Brown and Washington’s Jay Inslee. In a legislative hearing on the impacts to employment from either the Governor’s 45-percent increase or the 66-percent increase in one of Oregon’s ballot initiatives, staff admitted that there had been no studies on such large increases. But the Oregon governor’s proposals do not have a lower wage for young people. More importantly, the governor’s proposed to increase to $13.50-per-hour would mean a minimum wage that would be 77 percent of Oregon’s current $17 median hourly wage. Pushing the minimum wage to $15.52 would be at the 86th percentile. A November report by the Manhattan Institute, “Counterproductive: The Employment and Income Effects of Raising America’s Minimum Wage to $12 and to $15 per Hour,” concludes that raising minimum wages is likely to result in adverse consequences that would lower total national income levels. Facing concerns from the right and the left that her minimum wage proposal was an obvious job killer in Oregon, Gov. Brown blinked on January 28 and has scaled back her proposal to only a $.50 raise per hour statewide July increase, from $9.25 to $9.75-per-hour. The Portland metro area would see an increase in July 2017 to $11.25 an hour, with the rest of the state’s minimum wages rising to $10.25 an hour. The governor’s proposal tops out in July 2022 at $14.50 an hour in the Portland metro area and $13.25 an hour statewide. From then on, minimum wages would once again be tied to inflation. It is unclear if the governor’s legislation can head off a statewide ballot measure titled, “Oregon $15 Minimum Wage Initiative.” The initiative is being spearheaded and funded by SEIU Local 503, which represents 55,000 mostly government employees, as well as the Oregon Schools Employees Association, which represents 19,000 unionized teachers.